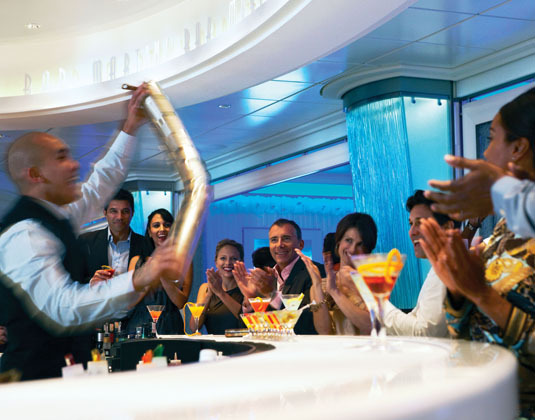 One of Celebrity’s most decorated ships, Celebrity Solstice is rich in luxurious design and exciting new experiences. The ship has a capacity for 2,850 passengers and features the unique Lawn Club - half an acre of grass on the top deck, where a casual country club atmosphere is the norm. Discover also speciality restaurants, sophisticated bars, swimming pools and entertainment. Day 1: Fly to Sydney. 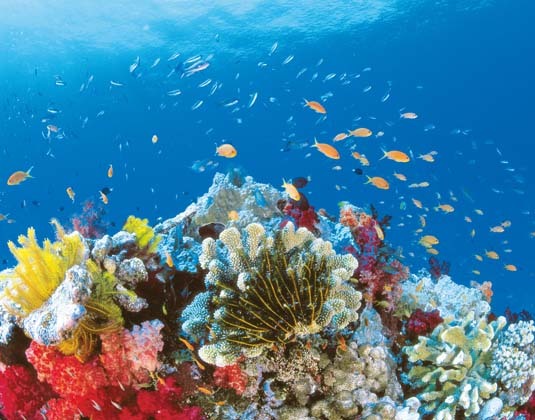 Days 3-4 Sydney/Cruise: Two full days at leisure to discover the delights of this iconic city. Be sure to see the Sydney Opera House, the Harbour Bridge, Darling Harbour and, if time allows, head to Bondi or Manly beaches. Day 5 Sydney/Cruise: At leisure before you are transferred to the port to board Celebrity Solstice. Day 6 Newcastle: Set at the mouth of the Hunter River, Newcastle offers the attractions of a big city while retaining the ambience of a regional town. For natural attractions follow a bush walk trail at Blackbutt Reserve to see koalas, kangaroos and native birds. 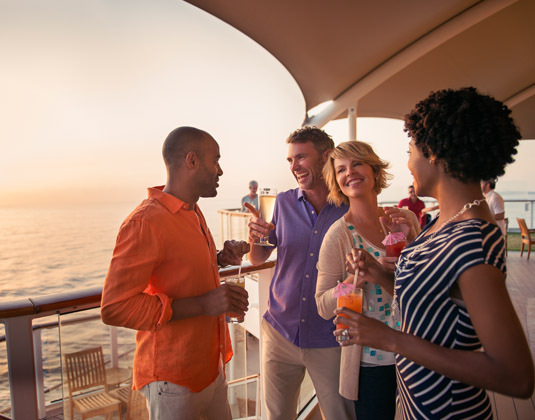 Days 7-8 At sea: Two full days at sea allow time to relax in the sun, take in a show, browse the shops and so much more. 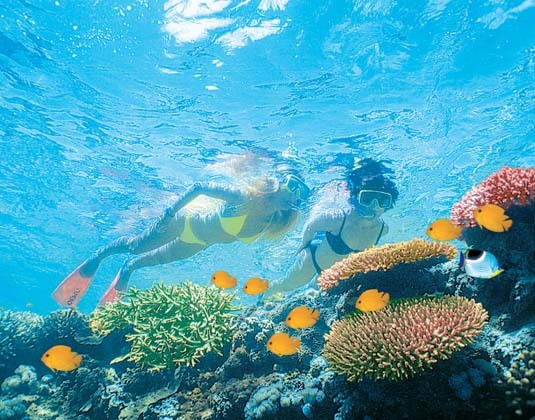 Day 9 Airlie Beach: This attractive town is one of the best departure points for excursions to the Great Barrier Reef, where you’ll have opportunities to snorkel or dive. 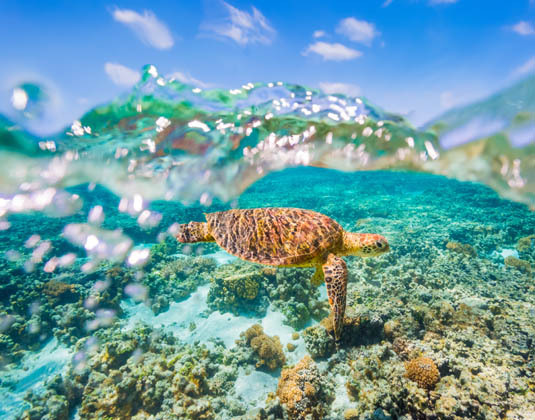 Day 10 Cairns (Yorkey’s Knob): This delightful northern beaches suburb is located just a short drive from Cairns and has plenty to offer. 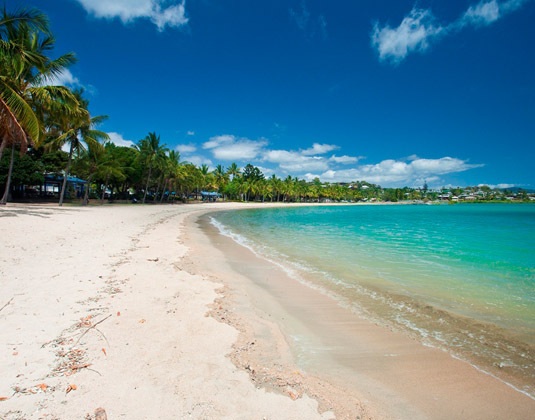 Casuarina trees and coconut palms line the beaches where you can spot bottlenose dolphins, try a new watersport, or linger lazily at a waterfront bar. Day 11 Willis Island (cruising): Willis Island lies beyond the Great Barrier Reef and is one of Australia’s three southernmost islands. Keep an eye out for the ubiquitous booby while cruising, these peculiar seabirds are spectacular divers and great fun to watch! Other highlights include wedge-tailed shearwaters and sooty terns. Day 12 At sea: A further day at sea. Perhaps indulge yourself with a pampering treatment at the spa. Day 13 Brisbane: If you love the beach Brisbane is an ideal jumping-off point for the Gold Coast and Surfer’s Paradise beaches, which are just an hour away. For those keen to explore the city, nearly everything is within walking distance, including Roma Street Parkland, the world’s largest subtropical city garden. Nearby, the Lone Pine Sanctuary gives you the chance to cuddle a koala! 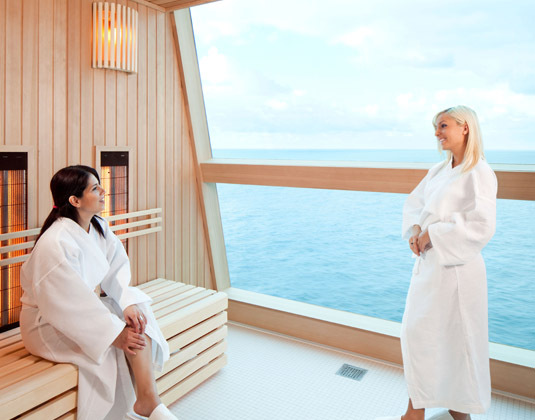 Day 14 At sea: A final full day at sea to laze beside the pool or to discover the array of activities. Day 15 Cruise/Sydney: Disembark this morning and transfer to your hotel. Enjoy time for some last minute sightseeing and shopping. Day 16 Sydney/Hong Kong: Transfer to the airport and fly onwards to exciting Hong Kong. On arrival you will be met and transferred to your hotel. Day 17 Hong Kong: A full day to explore independently. Perhaps take a ride on the Star Ferry, visit bustling Stanley Market, explore Repulse Bay or take the gravity-defying funicular tram ride to Victoria Peak. Day 18 Hong Kong: Time at leisure before you are transferred to the airport for your onward journey. 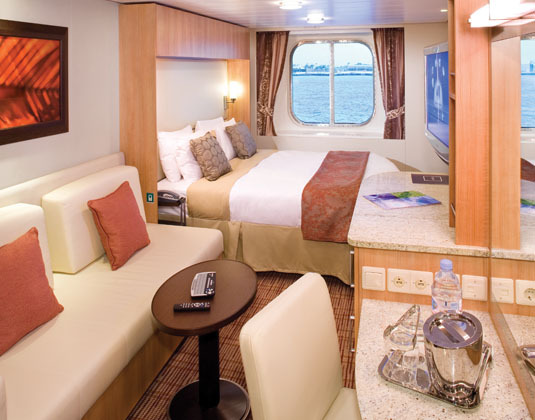 Consider an upgrade to a serene AquaClass Stateroom, which are located in the more peaceful areas of the ship and feature a private balcony as well as an upgraded shower and bath products. You’ll also have unlimited access to the Persian Garden spa lounge, the Blu Restaurant and a host of other soothing extras. Please ask for further details. 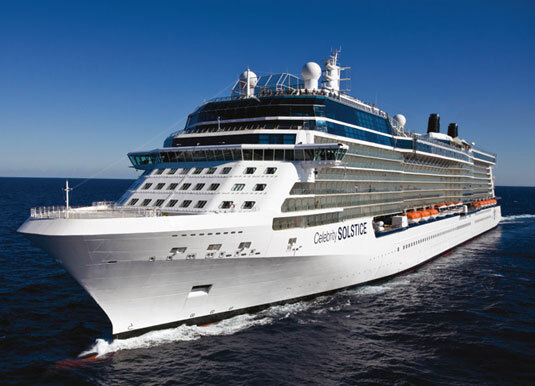 Accommodation: 3 nights before your cruise at Parkroyal Darling Harbour, Sydney; 10 nights in an inside cabin aboard Celebrity Solstice; 1 night after your cruise at Parkroyal Darling Harbour, Sydney and 2 nights at Harbour Grand Hong Kong. Meals: Room only in Sydney and Hong Kong. Full board on cruise. Cruise & stay price: Includes international flights, transfers between airports and hotels and hotels and ports and accommodation as shown.